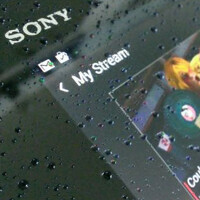 Verizon to offer the Sony Xperia Z2 Tablet? While we've seen some signs that the Sony Xperia Z2 handset is eventually coming to Verizon, including pictures of the device dressed up in Verizon branding, a tweet from evleaks reveals that the Sony Xperia Z2 Tablet will be offered by Big Red. The manufacturer's high-end slate features a 10.1inch screen with resolution of 1920 x 1200, and is driven by a quad-core 2.3GHz Snapdragon 801 processor under the hood. 3GB of RAM is aboard as is 16GB/32GB of native storage. A 64GB capacity microSD slot is available for those who need more storage. Back and front snappers weigh in at 8.1MP and 2.2MP respectively, and a massive 6000mAh battery takes care of the power. Android 4.4 is pre-installed. One thing we should mention about the Xperia Z2 tablet, it carries the same IP58 certification as the Sony Xperia Z2 phone. That means the slate should be able to withstand a submersion in up to 5 feet of water for up to 60 minutes. The tweet from evleaks, which was sent out today, doesn't mention when we might see the tablet offered by Verizon, nor does it touch on the Sony Xperia Z2 handset. Previously, T-Mobile had been the only major U.S. carrier to carry the Sony Xperia Z and Sony Xperia Z1. As far as pricing is concerned, we can tell you that the Wi-Fi only version of the Sony Xperia Z2 Tablet is priced at $499.99 (16GB) and $599.99 (32GB) at the Sony Store. With the LTE connectivity expected for the Verizon variant of the slate, we could see the price rise by an additional $100-$200. Awesome Z2 water proof tablet. Yeah.... What a bad article, be ashamed of yourself. No proof at all that the Z2 is ever hitting Verizon. That leak was buried as far as I'm concerned an now you're going to say they will have two Sony devices. When? Winter 2017? Are they going to neuter it and make it incompatable with available acessories like they did the LG 8.3?